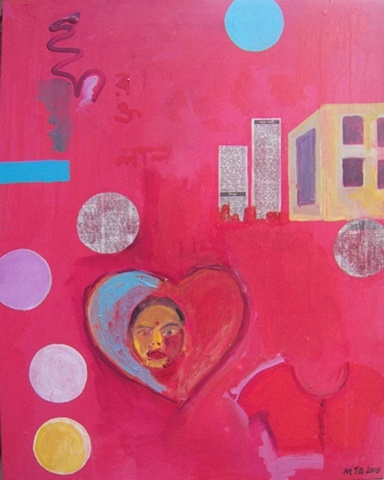 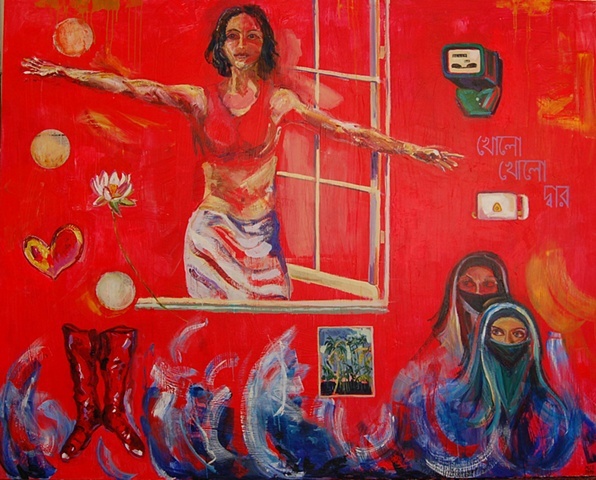 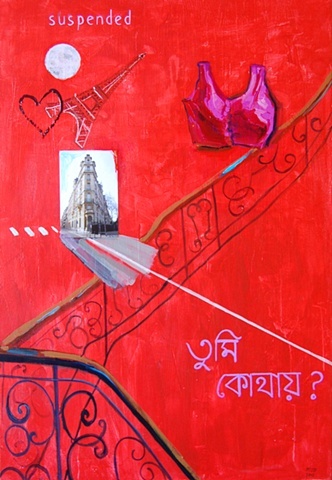 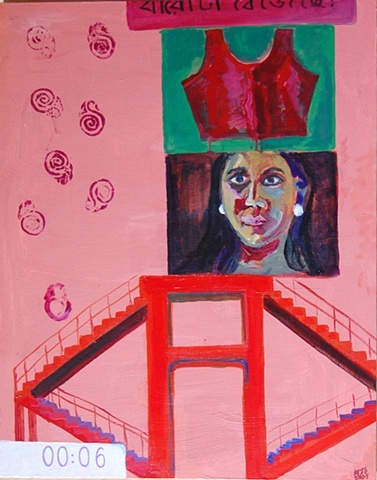 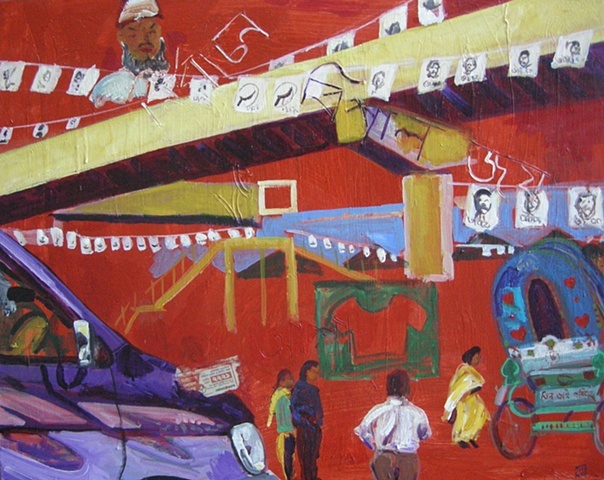 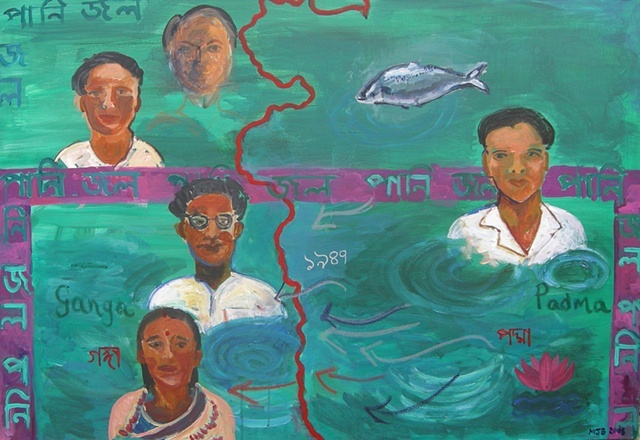 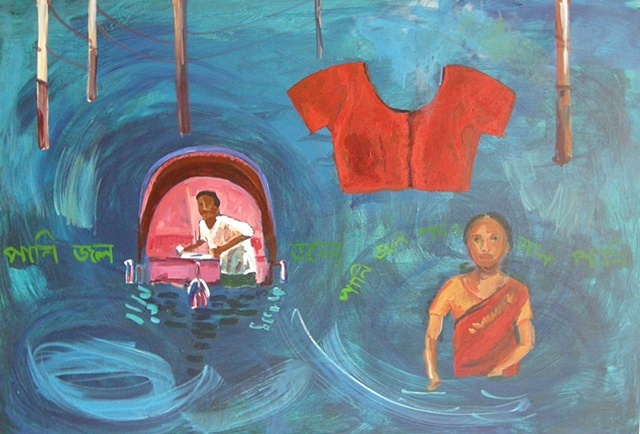 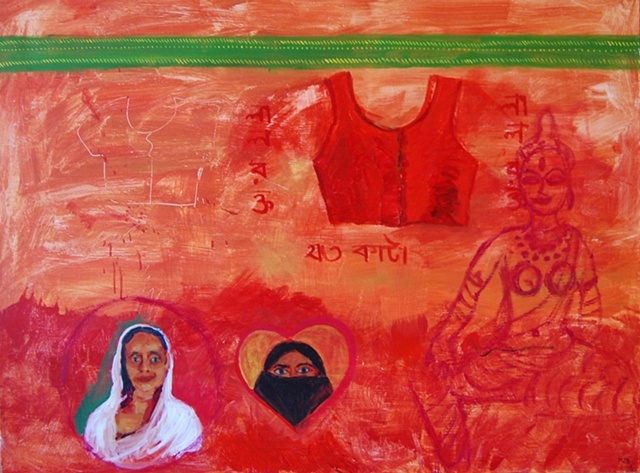 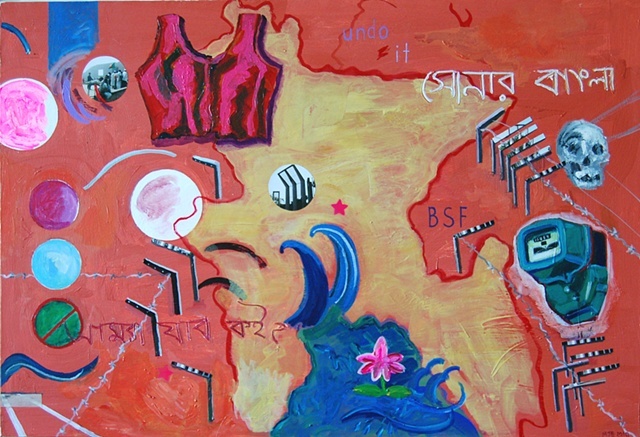 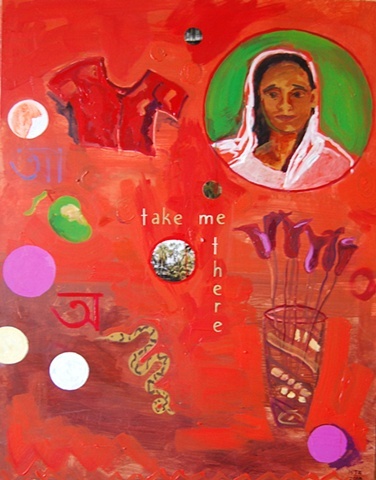 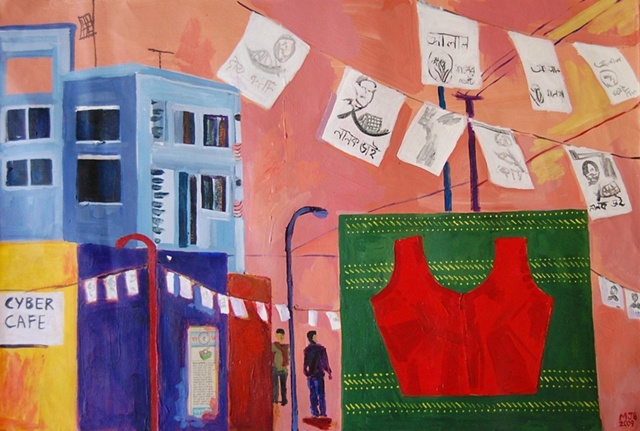 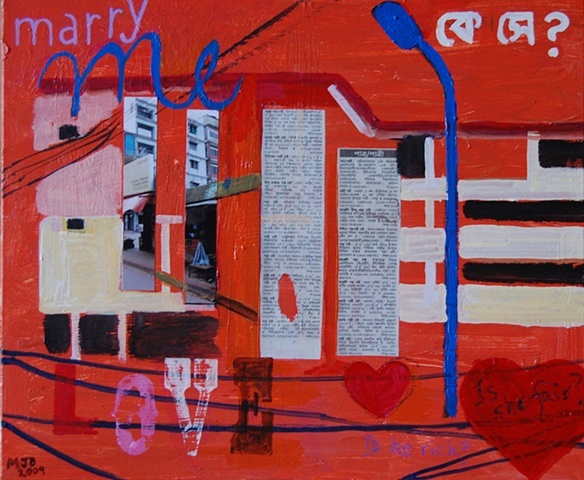 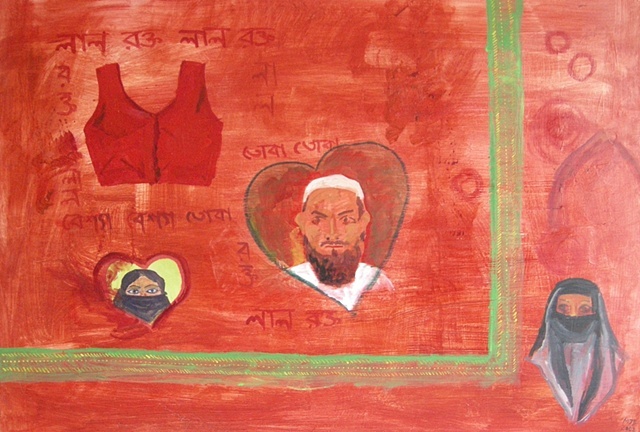 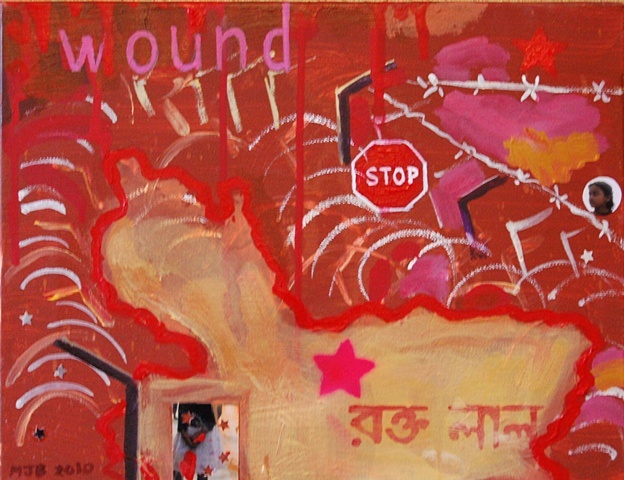 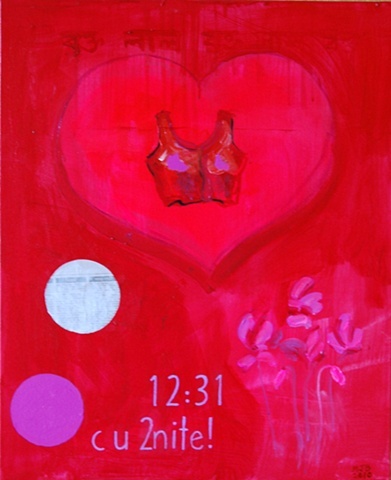 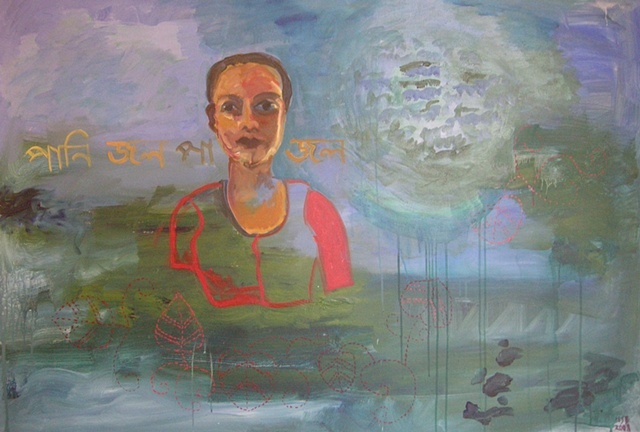 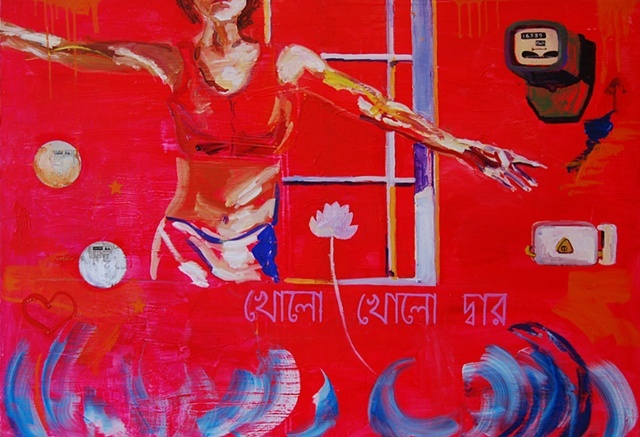 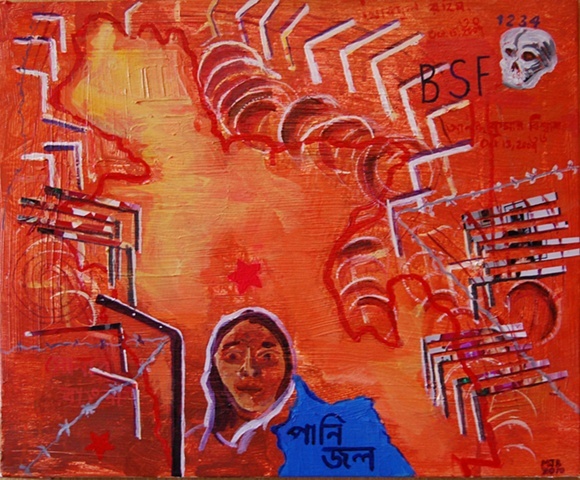 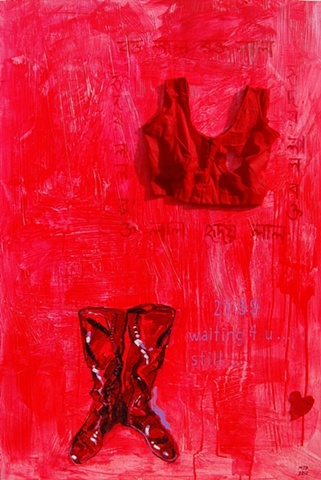 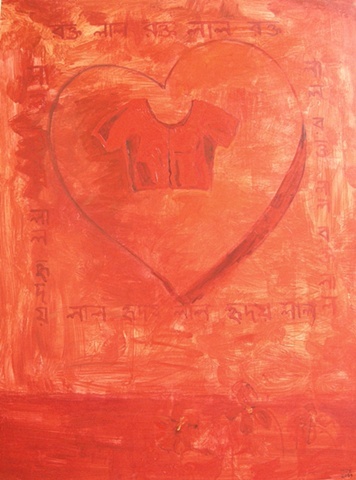 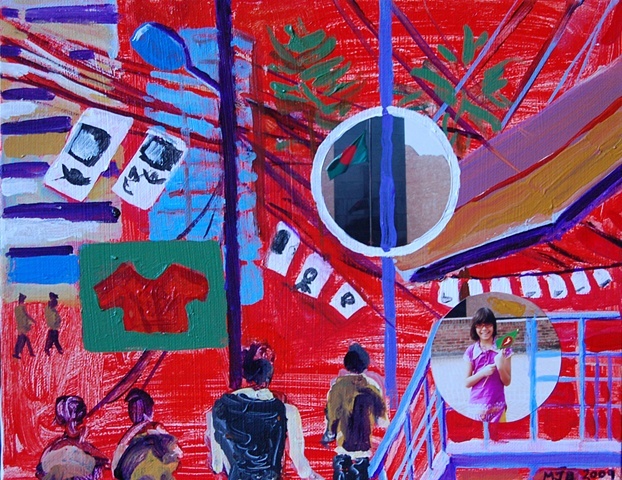 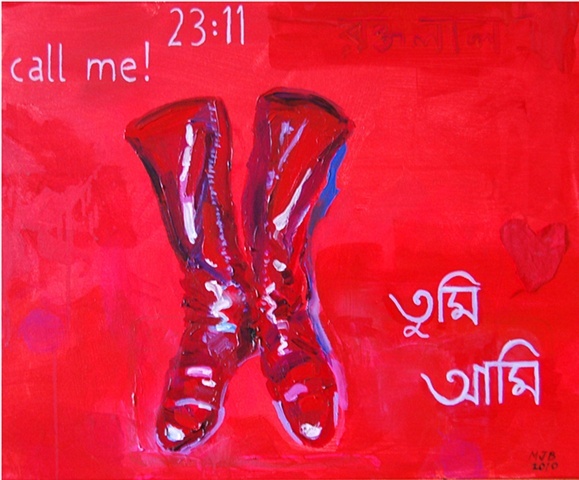 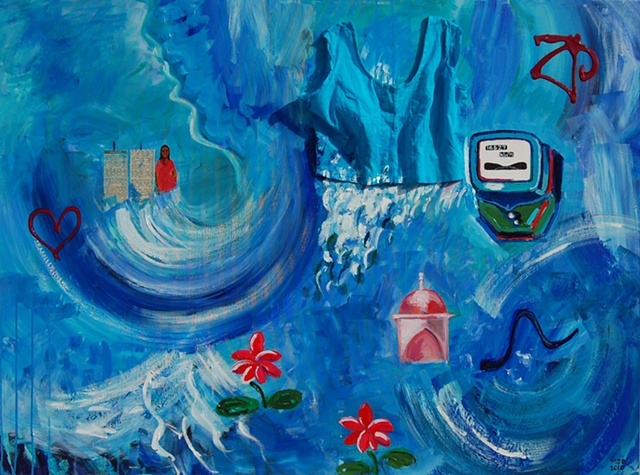 These are the paintings that were exhibited in Monica Jahan Bose's solo show at the Dhaka Art Center in Bangladesh in July 2010. 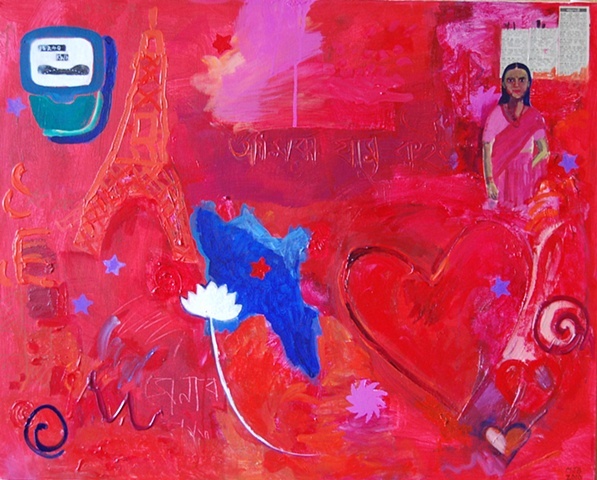 The show included the large scale painting "Open the Door" created for the Paris Prix Marin exhibition. 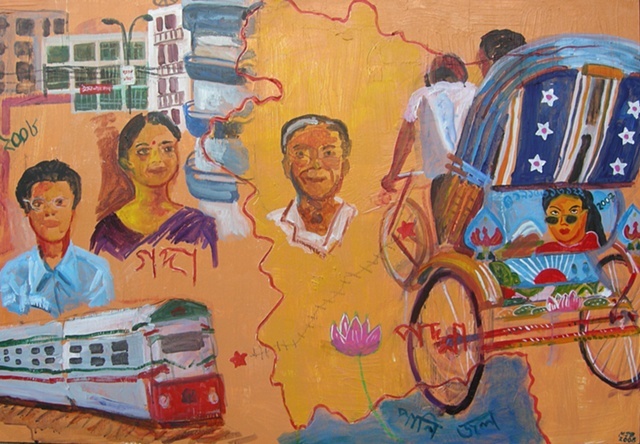 The Dhaka exhibition was extensively reviewed, attracted a large and diverse audience, and was also the subject of a special feature on local television.